Tourireland.com is now operated by our sister website Authentic Ireland, so all new enquiries will be assigned to our experienced Authentic Ireland Travel advisors who are on hand to help plan your dream vacation to Ireland. Tourireland and Authentic Ireland are proud to be part of the Irish Welcome Tours Group, one of Ireland’s oldest and most respected tour operators, who celebrated 25 years in business in 2014. We offer a range of exciting Ireland & Scotland vacation packages, group tours, private chauffeur tours and more. We reserve authentic and charming accommodation of the very highest standard, including many hidden gems, brimming with character and history. We guarantee that you will be provided with 5-star customer service both before and during your vacation. With Authentic Ireland, your experience will be extraordinary. We are all part of the Irish Welcome Tours Group, & celebrated 25 years in business in 2014. Read Tour Ireland and Authentic Ireland Reviews from some happy customers. In business since 1989, its staff of 40 will ensure that your upcoming vacation to Ireland will be handled professionally, with superb customer care & support – before, during and after your trip. Arranging group and individual journeys deep into the heart and soul of Ireland & Scotland has not only been our work, it has been our pleasure. We are proud of our repeat client base; it means we’re doing our job well! We’re also happy to welcome new travelers to an insider’s view of Ireland & Scotland every day. If you want to cancel the Authentic Ireland portion of your travels up to 7 days before your departure date, for any reason, you may reschedule your vacation to occur within 365 days with no cancellation fees. We want your Irish experience to be filled with relaxation and wonder. That’s what travel with Authentic Ireland is about. With offices in both Ireland and in the USA, we can offer you the best possible customer service and attention. We also offer you 7-day phone support while you are in Ireland or Scotland. Read our Reviews! We are dedicated to providing you the ultimate in service, from the first time we get in touch with each other until you’ve returned home. We listen to your dreams and travel needs. With your input, we create the big picture and also take care of the little details. Your experience will be extraordinary. Using our combined wealth of local knowledge and local guides, we put together the most unique and value-added Ireland tours available. A unique feature of our service is that we create an online account for you the first time you request information. All of your travel requests and quotes are posted online and you can review them at your leisure. Pay deposits and balances, ask your agent questions, request travel insurance, cell phone rentals and more! You do the dreaming and we do the planning. Based on our local contacts, your travels will suit your wallet, traveling companions, and fantasies. We make it easy to say yes to Ireland & Scotland! And remember, all of our tours are backed by our 100% Satisfaction Guarantee. Also, please feel free to check out reviews from our clients on our website. Ireland has so much to offer and we want you to experience it all and fall in love with Ireland just as we have! Our staff love sharing their secret spots and insider tips to assure that you have a magical time, so whether you wish to travel her highways and byways by coach, chauffeur drive or self-drive, we can arrange a quality tour just perfect for you, and personalize it to your interests, itinerary and budget. Each tour is special, no tour is the same! An epic history, a Celtic beat, dazzling scenery, a thousand greens and above all the famous “craic” all await you on the Emerald Isle. 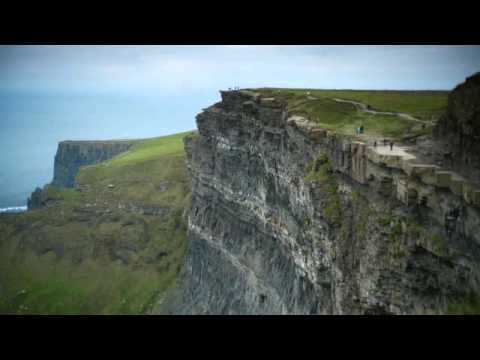 Come with us and begin your love affair with Ireland!